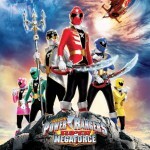 At Power Morphicon 2012, Saban Brands stated that Power Rangers Megaforce/Super Megaforce would be the largest budget spent on Power Rangers in a long, long time. 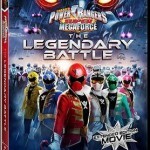 They said this was the anniversary season for the fans – from Mighty Morphin Power Rangers homages galore in Power Rangers Megaforce to Legendary Rangers throughout Power Rangers Super Megaforce. Despite many personal, vocal opinions from Ranger Nation, the show continued to do what it does best – entertain children and promote toy sales. And thus, tomorrow, another series of Power Rangers comes to a close. Tomorrow morning, Power Rangers Super Megaforce will come to a close with the episode Legendary Battle, featuring the return of previous Power Rangers including the iconic Jason David Frank as Tommy Oliver, the original Mighty Morphin Green Ranger. This marks the end of one chapter of Power Rangers and at the same time, opens a new chapter when Power Rangers Dino Charge premieres in February 2015, which is slowly becoming one of the most anticipated Power Rangers shows in recent memory, due mostly to the involvement of famed Power Rangers crew veteran Judd Lynn and an extremely likable (and open!) cast. Check your local listings for exact times (mostly 11am local). Please join our discussion thread for the episode and vote on it, and we will share some of your responses to the episode and season as a whole at a later date. One last time … Go Go Megaforce! Check back with us through the day for more updates on your favorite upcoming Power Rangers products! With the hiatus over and episodes coming out weekly, it’s time to return to the usual mid-week preview clips of upcoming episodes of Power Rangers Super Megaforce. The next episode, titled “Love Is In the Air”, features the villain Levira falling victim to a love portion, causing her to fall in love with the Green Super Megaforce Ranger Jake. The preview clip shows Noah, the Blue Super Megaforce Ranger, being ignored by the X-Borgs as they focus their attacks on Jake, who is to be captured and brought to Levira. Check out the clip, courtsey RangerCrew.com, below! This episode of Power Rangers Super Megaforce airs THIS SATURDAY on Nickelodeon. Check your local listings for exact times and be sure to join us in the episode discussion on our forums! Time flies when you’re having fun! With less than a month between SDCC 2014 and Power Morphicon, we’ve been swamped! But we figured what better way to hype you up for Power Morphicon than to release our special interview with the cast of Power Rangers Super Megaforce from our time spent with Saban Brands at SDCC 2014! Join Kickback aka Chris as he interviews Andrew Gray, Azim Rizk, John Mark Loudermilk, Cameron Jebo, Ciara Hanna, and Christina Masterson from Power Rangers Super Megaforce, courtesy Saban Brands. A huge special thanks to the cast of Power Rangers Super Megaforce for the fun interview and to Saban Brands for making it happen! As per request, we have also listed the cast of Power Rangers Super Megaforce‘s social media accounts below. Please take a moment to give them a follow. They’re all very talented individuals and they will all go far in their careers! Don’t miss a thing! Follow them all today! If you’re attending this year’s Power Morphicon you will have a chance to meet the cast of Power Rangers Super Megaforce! We recommend you do – you won’t regret it. Go Go Megaforce! See you at Power Morphicon! If you’ve been missing new adventures of the Power Rangers Super Megaforce, good news – we have a date on when they will return! The bad news? You still have over another month to wait. Thanks to Fury Diamond and his Samurai Cast Blog, we know that Power Rangers Super Megaforce will return with all new episodes on Saturday, August 30th on Nickelodeon. The first new episode will actually be Episode 09 of Super Megaforce titled “The Power of Six”, where Jake must get over his jealousy of Gia and Orion to help Orion use the combined powers of the past sixth Rangers in order to defeat a new monster. For those who didn’t follow Kaizoku Sentai Gokaiger, that means it’s the premiere episode of the Gold Mode for the Super Megaforce Silver Ranger, where he utilizes an armor with the faces of all the previous sixth Rangers. Excited for Super Megaforce to return? Or are you just counting down the months until the premiere of Power Rangers Dino Charge? Join in the discussion! The folks who have been bringing you the classic Power Rangers to DVD as well as the amazing Legendary Power Rangers DVD Collection, Shout! Factory, will be at this year’s San Diego Comic Con. They’ve sent out a press release with details of their schedule and special guest appearances. The details are as follows! For those of you who don’t know (and by now, who doesn’t know?) 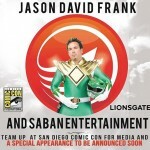 who Jason David Frank is – he played the Mighty Morphin Green Ranger, Mighty Morphin White Ranger, Zeo Red Ranger, Turbo Red Ranger, and Dino Thunder Black Ranger. He will also appear in the season finale of Power Rangers Super Megaforce as the Mighty Morphin Green Ranger. 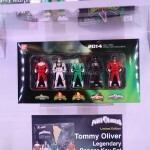 TokuNation.com will be in full attendance like never before at this year’s SDCC. Be sure to follow us @TokuNation on Twitter, @TokuNation on Instagram, ”Like” us on Facebook, and for easy-to-navigate coverage, click here to see ONLY our San Diego Comic Con 2014 coverage.